This interview, conducted by StFXAUT President Mary Oxner, originally appeared in the Spring/Summer 2017 edition of The Beacon. The Beacon regularly features interviews with StFX University Alumni on the topic of their relationships with StFXAUT Members who challenged, inspired, or helped in some way. 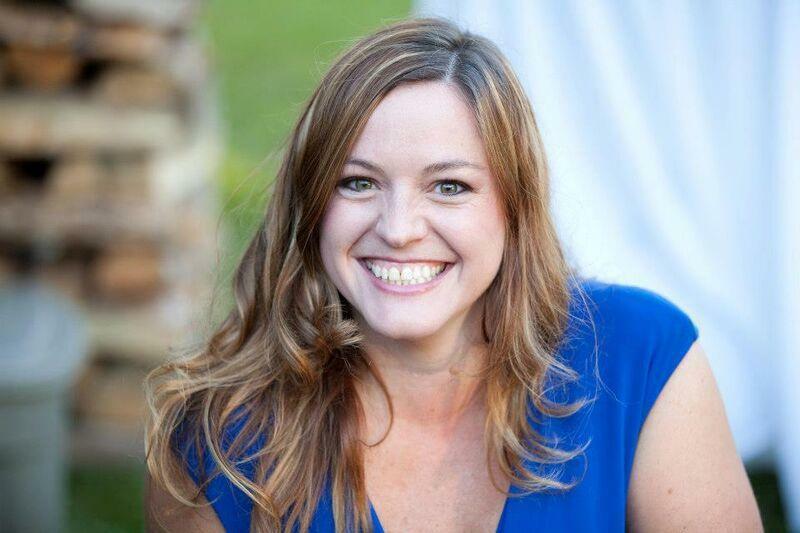 This issue’s interview is with Alexis MacDonald (Psychology ’99 with First Class Honours). The Beacon: During your time at X was there any particular Professor, Librarian, Lab Instructor, Coady Program Staff Member, Nurse Educator, Extension Program Staff Member, or Learning Skills Instructor that helped you, inspired you, or was a mentor to you? Senator Mary Coyle, former StFX Vice President and Director of the Coady International Institute. I felt a deep affinity with Mary from the first day I met her. I was a young woman leader on the Students’ Union and Mary gave me a lot of support in that role. She encouraged me to apply for the Coady’s Youth Internship Program post-graduation, which irrevocably changed my life and career path towards international development. To this day, Mary is still my greatest mentor and has become a close friend. Dr. Gary Brooks, my former History of Psychology Professor. He encouraged me to do my honours thesis in Psychology. Dr. Brooks was renowned for his intellect and high standards – he pushed me to become a better writer and a top student. He is now retired but I recently reconnected with him – he is as fabulous as ever. Dr. Margo Watts, my former Personality Psychology Professor. I took a summer class with Dr. Watts and was blown away by her teaching style. She approached the material with such creativity and passion – it made me change my thesis focus from child development to personality psychology. Dr. Sean Riley, former StFX President. Sean recognized my leadership skills early on and continuously encouraged me to take on new challenges. Every year, Dr. Riley and I find time to sit down for a deep conversation about life and career paths. How many University Presidents continue to do that with their former students, even years later? Dr. Ann Bigelow, founder of Service Learning at StFX. I will never forget rushing into Dr. Bigelow’s office, begging her to let me go on the Service Learning trip after missing the first deadline. Dr. Bigelow made a rare exception and that Service Learning experience was life changing. It inspired me to learn more about the injustices in the world – and the students I went on that trip with to Jamaica are still my closest friends almost 20 years later. The Beacon: You recently visited Antigonish in November 2016. How often have you been back since you graduated? What’s something that has strikingly changed since your time here? Is there anything that seems to have hardly changed at all? Alexis: Antigonish is my second home. I lived in Antigonish for several years after university while I worked for the Coady International Institute. I go back as often as I can – at least once or twice a year. The significant change that I’ve seen over the years is just how much more integrated the University and the Antigonish have become – which I know didn’t happen overnight or without a lot of energy and thought. Antigonish is such a thriving community in its own right. I think the current students are much more aware of the town’s dynamism than we ever were twenty years ago. The Beacon: Why did you choose StFX for your undergraduate degree? Alexis: My older cousin Kim studied Phys. Ed at StFX. In my 12th year of high school, I made the big trek from PEI to visit her during her “whistle-blowing ceremony”. I was immediately sold. I was determined to study off Island and I loved StFX’s school spirit! The Beacon: At that time, what did you imagine you might do after you graduated? Alexis: I thought I might become a teacher, like both my parents, or a psychologist. I knew that I loved working with people and that I wanted to make a positive contribution. I also loved the academic setting so I was bent on pursuing my Masters and maybe even a PhD. The Beacon: You’re now living and working as the Director of External Relations at the Stephen Lewis Foundation (SLF) – can you lead us along your path from Antigonish to the Stephen Lewis Foundation? Alexis: After university, I put my academic pursuits on hold and spent six months on a Coady internship in Ghana, West Africa working for an environmental organization. From that moment on, I realized that I wanted to commit my life to social justice work. I had the opportunity to work for Canada World Youth in Jamaica and return to the Coady International Institute to run their Youth Internship Program. After a few years, I ended up working on a university-wide initiative called Xtending Hope, which supported Botswana and Rwanda in their efforts to respond to the AIDS crisis. It was through this university partnership that I met Stephen Lewis, who was then United Nations Special Envoy for AIDS in Africa. When I made the (brave? naïve?) decision at age 26 to represent the NDP federally in Central Nova, Stephen Lewis agreed to speak at my nomination meeting in Plymouth. After the election, I was surprised to get a call from Stephen Lewis out of the blue. I thought he might be calling me to say congratulations on the NDP finishing second for the first time in the history of the riding. Rather, he was calling to offer me a job as the Acting Executive Director of his new Foundation in Toronto that was focused on funding HIV/AIDS organizations in Africa. That was in 2004 – and I have been working for the Stephen Lewis Foundation in some iteration ever since! The Foundation has allowed me to develop skills in so many different areas – distributing grants, fundraising, organizing national events. The next major opportunity is organizing a book launch across the country. 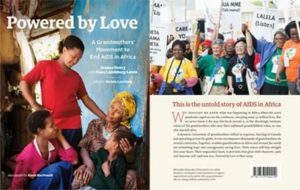 In the Fall, the Foundation will be publishing a book (with Goose Lane Editions) on the Grandmothers Movement which will feature heartbreaking and inspiring life stories from African and Canadian grandmothers, along with my photographs from eight sub-Saharan African countries. Stay tuned: www.stephenlewisfoundation.org! The Beacon: Having worked with the SLF for many years, are there any key skills or ways of thinking about or doing development work that you learned while at StFX that you still make use of today? Alexis: I was heavily influenced by the Coady International Institute’s approach that is based on the core principle that communities are best positioned to lead their own development. The Coady recognizes that the expertise and capacity is found in the communities themselves and the greatest catalyst for transformation is through adult education – providing opportunities for community leaders to learn from each other. My time spent at the Coady made my transition to the Stephen Lewis Foundation feel like a natural fit as the SLF’s approach is very similar. Founded on feminism, solidarity, and anti-oppression, the SLF exists to raise funds in Canada and send these resources directly to the grassroots organizations at the heart of the response to HIV & AIDS, primarily lead by women, grandmothers, and people living with HIV. A dynamic movement of grandmothers rallied in response. Starting in Canada and spreading across the globe, it now encompasses thousands of grandmothers on several continents. Together, resolute grandmothers in Africa and around the world are reclaiming hope and courageously saving lives. Their voices will leap straight into your heart. Their unguarded faces, in portraits that glow with character, pain, and humour, will captivate you. This entry was posted in News and tagged academic, africa, aids, alumni, antigonish, book, coady, coadyinternationalinstitute, development, hiv, learning, service, shoutout, stephenlewis, stfx, stfxaut, stfxuniversity, teaching, university. Bookmark the permalink. Trackbacks are closed, but you can post a comment.